Organiser: InterFaith – Run for a United World a.s.b.l. *You can register for the relay marathon alone. We will arrange a team. 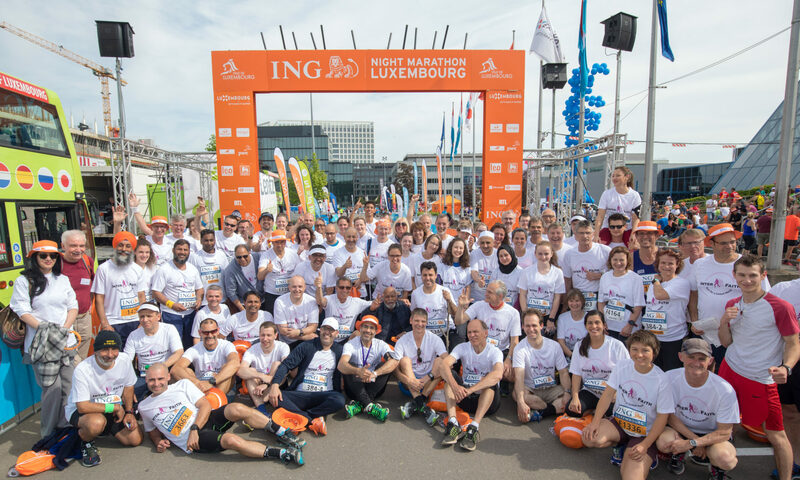 If not otherwise mentioned the rules of the ING Night Marathon Lluxembourg 2019 apply. With their registration , the participants consent to the publication of photographs which are taken during the event. The data collected in the registration form will be securely stored by “InterFaith – Run for a United World” a.s.b.l. and – if necessary – passed on to “ING Night Marathon Luxembourg” (step by step S.A.) for registration for the ING Night Marathon Luxembourg. Participants’ names and places of residence will be published on the Internet to facilitate car sharing. By registering, the participants agree to this. Processing activities: Member administration, administration of runners’ data and data of hosts. Description of the categories of recipients to whom the personal data are disclosed: Runner data will be passed on to step by step S.A. when registering for the ING Night Marathon Luxembourg. Member’s data – where required by law – will be forwarded to the Luxembourg Register of Associations (RCS Registre de Commerce et des Sociétés). – On return of the ChampionChip 5,- Euro will be reimbursed if you wish so, otherwise we consider it as a donation for the Global Ethics Foundation.